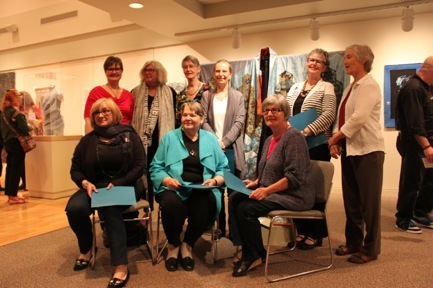 Sunday April 28th was the wonderful day I received my award at the Threadworks 2013 exhibit of needlework at the Wellington County Museum and Archives in Fergus, ON, Canada. You can read about my entry here, But Will It Hold Water. The quality and creativity of the needlework was outstanding. And the show was beautifully hung in a lovely exhibit hall. 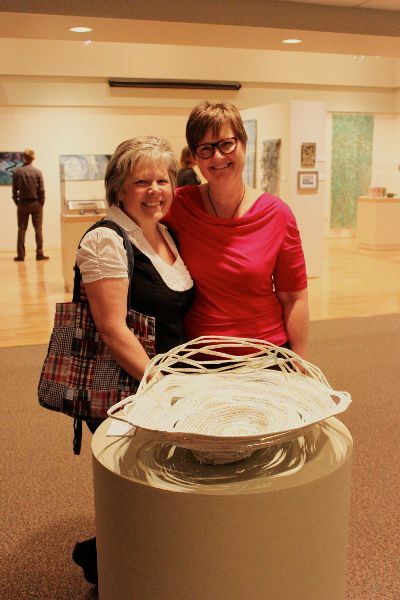 I was thrilled to be included amongst such amazing handwork. 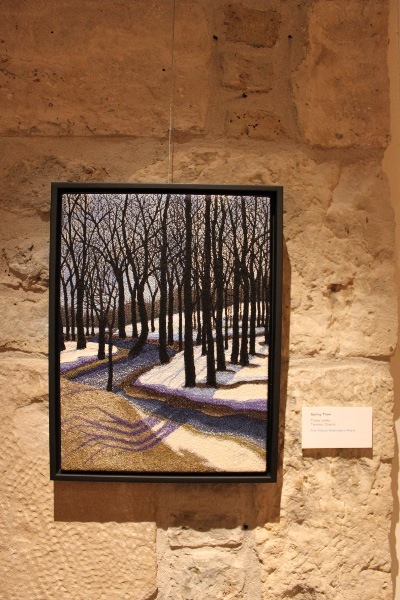 Besides having my family and close friends in attendance, one of the many blessings of the day came in the words of one of the jurors, Judy Martin, a textile artist from Manitoulin Island. 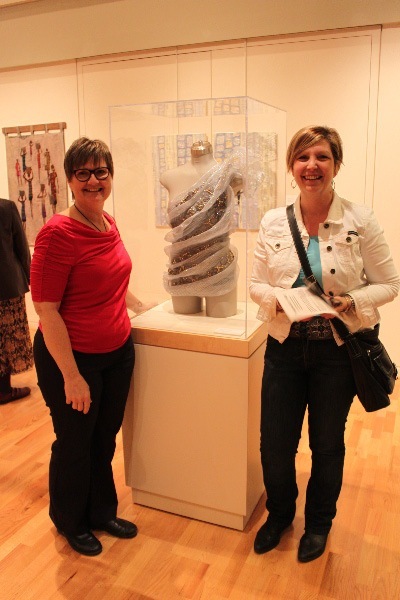 She spoke with passion about the life of an artist, why make art and the juxtaposition of thread, cloth, touch and water. This entry was posted in art and tagged altered map, art, basket, maps, Threadworks, water on April 30, 2013 by nurturingspace. 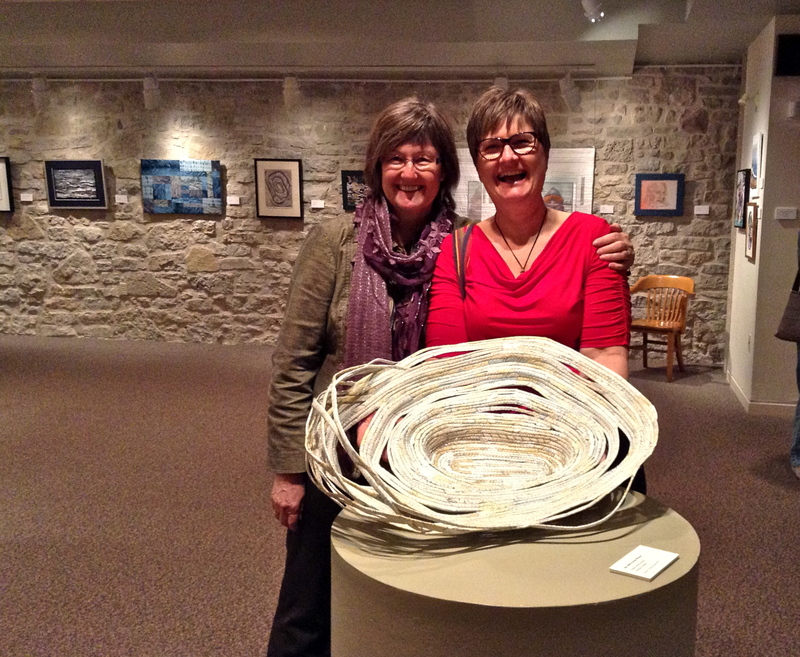 Congratulations Evelyn on a beautiful piece of art in your stitched paper vessel. Well deserved award.